We meet the sun as early as 5 o’clock in summer, yet he never appears 3 hours later today. 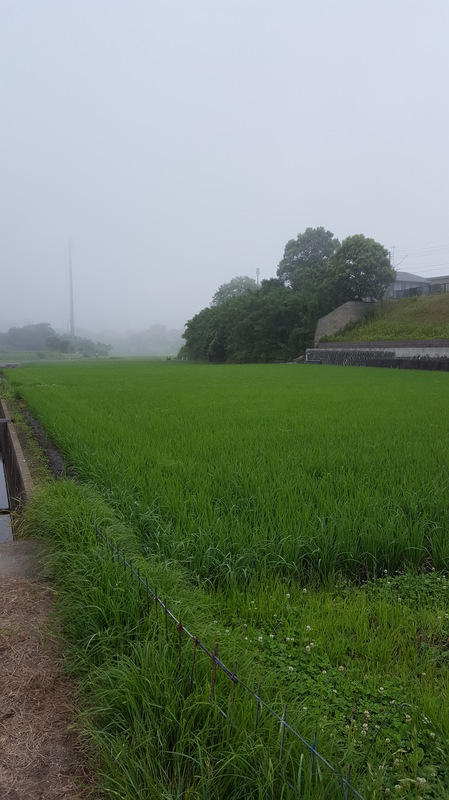 Well, quite lucky for Mei-Shun — it is so nice to walk in morning fog. Birds seem stay in the bed, so do annoying flies above muddy water. She could save sunscreen cream as well, only a cap would work in this cool condition.